Co-authored by Toronto’s Donna Carol Koffman and Aurora’s Lawrence Segel, Kooper’s Tale is loosely based on the reality Koffman’s grandson faces every day. Reese lives with severe, nonverbal autism and is accompanied by a service dog who keeps him safe. DIFFERENT KINDS OF SPECIAL is available on Amazon.com and Parentbooks.ca. 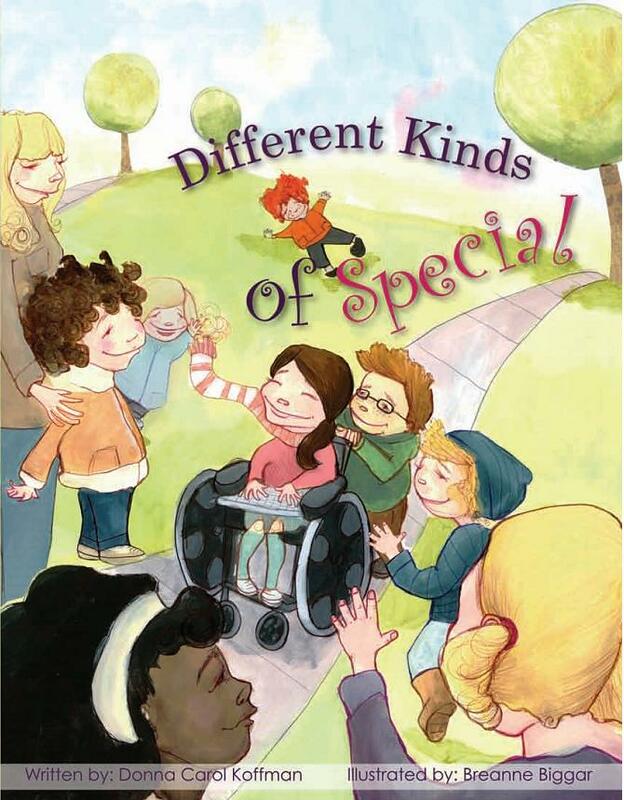 In her new children’s book, Different Kinds of Special, Donna Carol Koffman looks at how our differences make us special. Inspired by her grandson, Reese, who has autism and is for the most part non-verbal, Koffman seeks to give her grandson and other autistic children a voice. Everyone wants to have fun and be included. By educating readers about autism, Koffman urges children to respect one another’s differences, while recognizing how, deep down, we all share the same feelings. This story will help children and adults to understand some of the challenges that non-verbal children face. Koffman hopes to encourage readers to overcome the fears and discomfort that they may have surrounding those with communication and social disorders. While her focus in the book is on autism, the message she promotes is one of inclusion and friendship across differences. Breanne Biggar’s beautiful full-colour illustrations throughout the book help bring Koffman’s words to life. Now available at PARENTBOOKS, 201 HARBORD ST. TORONTO, ONT. www.parentbooks.ca.